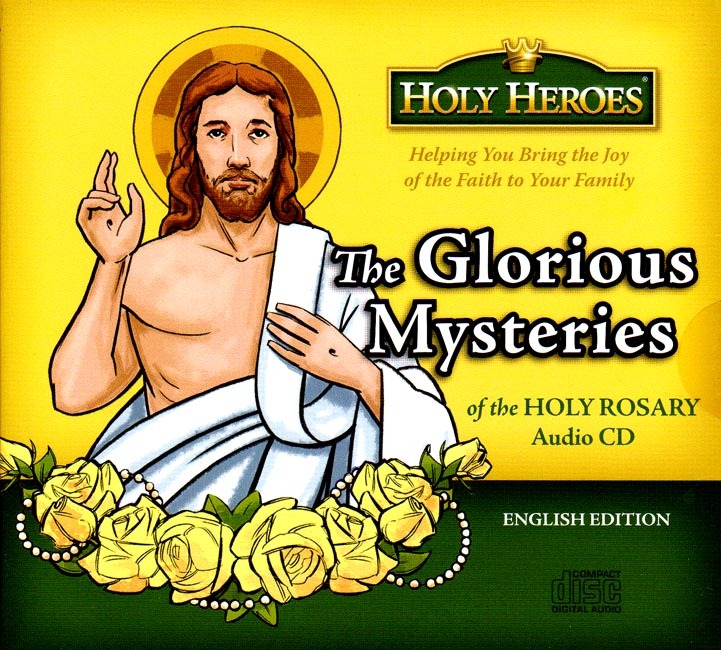 The last of the 4-volume set of the Mysteries of the Rosary includes an introductory discussion from the Catechism of the Catholic Church on prayer and the Blessed Virgin Mary, followed by a Scriptural rosary including more than a dozen children. Each mystery is introduced by an explanation of ‘what happened in the mystery,’ then before each ‘Hail Mary’ a child reads a verse from the Scriptural revelation of the mystery. At the conclusion, listen and learn two age-old Gregorian chant melodies, the Kyrie and the Sanctus, performed by Kelly Schiffiano. Original orchestral music by William Straub aids the beauty of the meditations. (1 CD, in English, approx 40 minutes in length).